Outer Banks is a favorite summer vacation spot, but we’ve grown into more of a year-round destination. 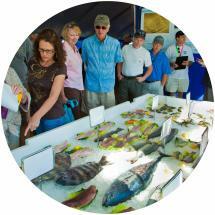 Events are a great way to get a deeper understanding and appreciation of the OBX. The following is a sampling of signature events, the full list is available here, where you can search by area, date, or interest. Culinary art will join the visual and performing arts at Dare County Arts Council’s sixth annual Rock The Cape Festival, which will return to Hatteras Island Memorial Day weekend. 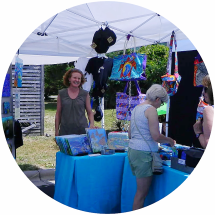 Over 25 artisans will gather at the Rodanthe-Waves-Salvo Community Center for the art show. 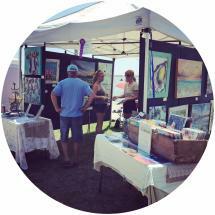 Visitors will be able to enjoy live art demonstrations as well as live music while checking out local arts and crafts. Admission to the art show is free. 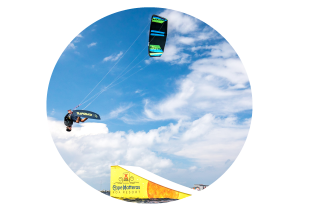 Featuring 32 of the world’s most influential kiteboarders, the prestigious Wind Voyager Triple-S Invitational will take place at REAL Watersports in Cape Hatteras, NC. The 2019 Wind Voyager Triple-S Invitational carries an 13-year legacy of bringing together an international field of the most progressive riders to perform in the real Slider Park. Make sure to come by to meet the pros and learn more about the sport of kiteboarding. Join us on the Outer Banks this Fourth of July as we celebrate with fireworks, fun, festivities and more! This year, our area will host four fireworks shows at the following locations: Avalon Pier in Kill Devil Hills, Nags Head Fishing Pier in Nags Head, fireworks over the sound in Manteo, and the Avon Fishing Pier in the village of Avon on Hatteras Island. The Outer Banks has plenty for you and the family to enjoy. A celebration of Hatteras watermen with seafood cooking demos, fishing boats and gear, fishing industry skills contests and competitions, live music and games for children. Day at the Docks was started to celebrate the "Spirit of Hatteras" when the village recovered from Hurricane Isabel in 2003 as an intact community, anchored by the commercial and charter fishermen. The event is a confirmation of the strength of community, heritage and living traditions of the waterman. The largest amateur surfing organization in the world hosts the season&apos;s "grand finale" where the best of the best surfers go head to head. Whether you want to compete or just like to surf, the ESA welcomes everyone! 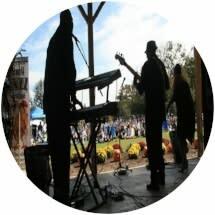 The Town of Duck brings jazz to the Duck Town Park annually on Columbus Day weekend. Enjoy live music from a variety of jazz performers beginning on Saturday, October 6, 2018 which continues on Sunday, October 7 with a full day of performances on two stages at this non-ticketed festival. 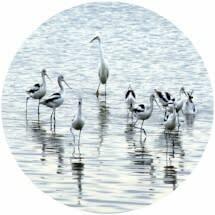 Extend your Outer Banks stay to enjoy jazz-themed events and promotions taking place throughout Duck businesses and beyond. Food and drinks will be available to purchase from various town eateries and chairs will be available for rent. Attendees are invited to bring food, coolers, chairs, blankets and pets. No beach umbrellas or tents are permitted at the event. The Duck Jazz Festival will be held rain or shine. Flying kegs, a beer garden featuring over 20 local and regional beers, kids zone featuring arts and crafts and a mechanical shark, live music, local food vendors … you can’t ask for much more! 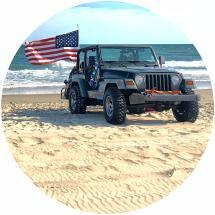 OBX Brewtag is presented by Kitty Hawk Kites, The Outer Banks Visitors Bureau, and BrewThru with the proceeds benefiting The Rogallo Foundation. This third annual only-on-the-OBX celebration of flight and beer is not to be missed! 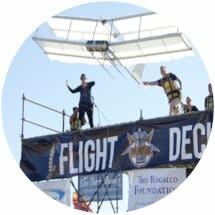 Witness an aviation flyover that will pay tribute to the Wright brothers at the documented exact moment of the Wrights’ first flight. You can observe the exact spot where the first flight occurred. Throughout the day, the park&apos;s museum, exhibits and activities provide interpretive talks at the Wright Brothers National Monument. 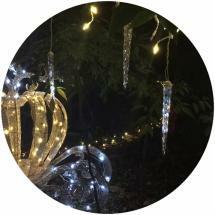 Stroll along enchanted garden paths and discover the joy of the season with holiday lights, sights and sounds transforming The Elizabethan Gardens into an illuminated winter wonderland. The radiant glow of the gardens, traditional holiday décor and fantastical displays are a true spectacle to behold. Festive trees grace the Gatehouse and Reception Hall and a crackling open-air fire warms the Great Lawn. This along with other long-time traditions and events are part of OBXmas Weekend. Parades, historic celebrations, lighthouse climbs, tree lightings, and many more events orchestrate the cheerful holiday season. What’s everybody doing for New Year’s Eve? 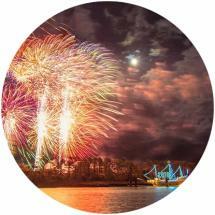 They’re heading to downtown Manteo for the inaugural New Year in the New World celebration! The town is closing the downtown streets so that everybody can gather for live music, family-friendly activities and an early ball drop for the kids. Local food vendors will be on site, and the downtown restaurants and bars will be open late. Topping it off is a full-on fireworks show, the largest in the state, choreographed to music. 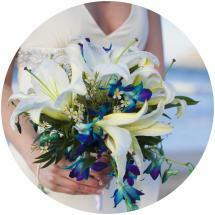 Our two day expo and evening wedding tour is sure to be a thrilling feat! During Wedding Weekend, you gain access to over 200 wedding professionals at our two-day expo, the opportunity to tour the most sought after wedding venues on the coast, discounts at local restaurants, shops and hotels and enter to win our Dream Wedding Giveaway. Get ready Leprechauns! The Kelly&apos;s 28th Annual St. Patrick&apos;s Day Parade will be held on Sunday, March 18, 2018. The parade starts at 1p. 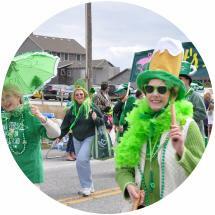 at MP 11.5. at the intersection of Bladen St. and Virginia Dare Trail (Beach Road) and continues north to Driftwood St. After the parade head over to Kelly’s for a St. Patrick’s Day celebration with live entertainment, float awards, free hot dogs and don’t forget the fun! 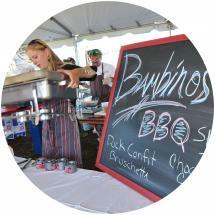 OBX Taste of the Beach is 4 days of great food, drinks and fun on the Outer Banks. 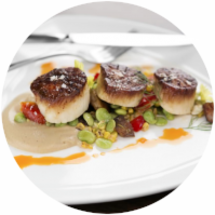 The Taste of the Beach weekend is a fantastic way to sample the fare of many fine restaurants on the Outer Banks in one fun-filled, food-centric weekend! There are wine tastings, cooking classes, special multi-course menu presentations, brewery tours, tapas crawls, cook-offs and more. 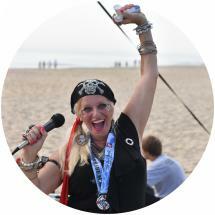 The Flying Pirate Half Marathon course winds its way through the natural beauty of Outer Banks. 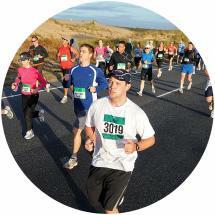 Begin in Kitty Hawk and follow the course into Kill Devil Hills and Nags Head, along the Albemarle Sound, around the Wright Brothers National Memorial, and through the Nags Head Woods Maritime Forest; run 13.1 miles and cover some spectacular ground. 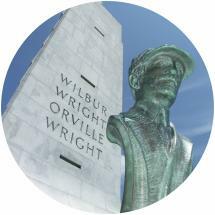 The day before, run the First Flight 5K on the National Park Service grounds of the Wright Brothers Memorial.